Who knew it's so easy to make microwave popcorn on the cob. 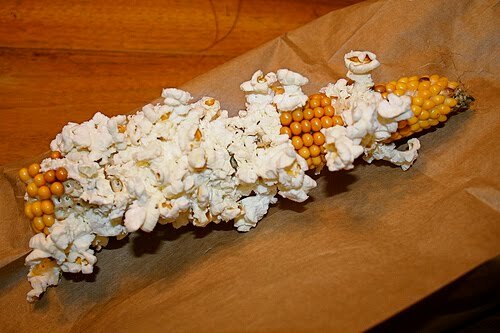 Put a cob of popping corn into a brown paper bag, fold the bag shut, place it in the microwave for 3 minutes & presto popcorn on the cob. It makes around 3 bowls of popcorn per cob and most of the popcorn falls off into the bag. I purchased 6 ears of corn for a dollar so it's fairly inexpensive to make. Also you can do the same thing with the bags of popcorn kernels. Just place about 1/3 cup of kernels into the paper bag. You can add 1 teaspoon of olive oil and use kosher salt to taste. 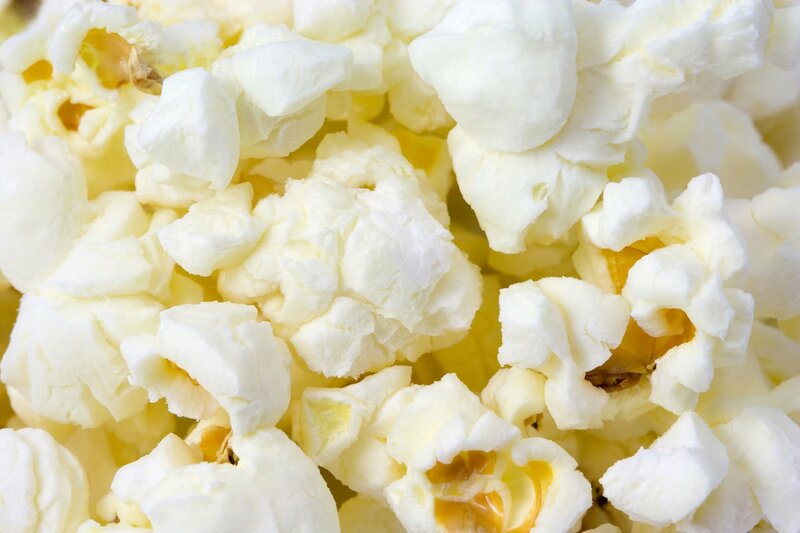 A very inexpensive and fast way to make microwave popcorn. Plus you wont have to worry about Fluorooctanoic Acid, or harmful butter flavor vapors. So simple, Yum! What about popping popcorn in a pot on the stove with a little oil? There was a time before microwaves. You make your presentationfiles look too easy, but it seems to be too complicated for me, I have no idea. Looking forward to your next post, hope i can get a little tricks.